This shop has been compensated by Collective Bias, Inc. and its advertiser. All opinions are mine alone. #InspireWithCheese. Want to throw a cheese party? 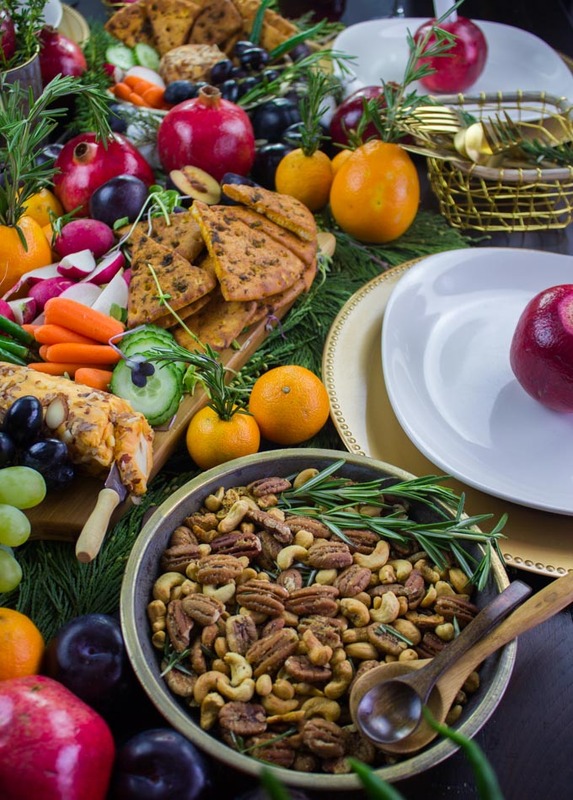 I have got you covered with my recipes for Rosemary Spiced Candied Pecans and Cashews, the best homemade Pita Chips, sweet Pomegranate Mocktails and the most DELICIOUS cheddar cheeses! 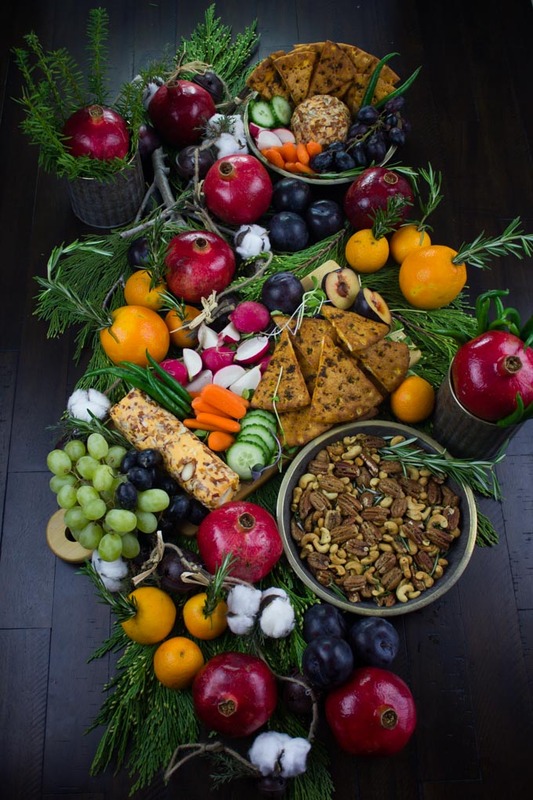 And while I am at it, why not throw in some festive homemade holiday centrepiece using candles, fruits and herbs! I’ve got a treat for you today! 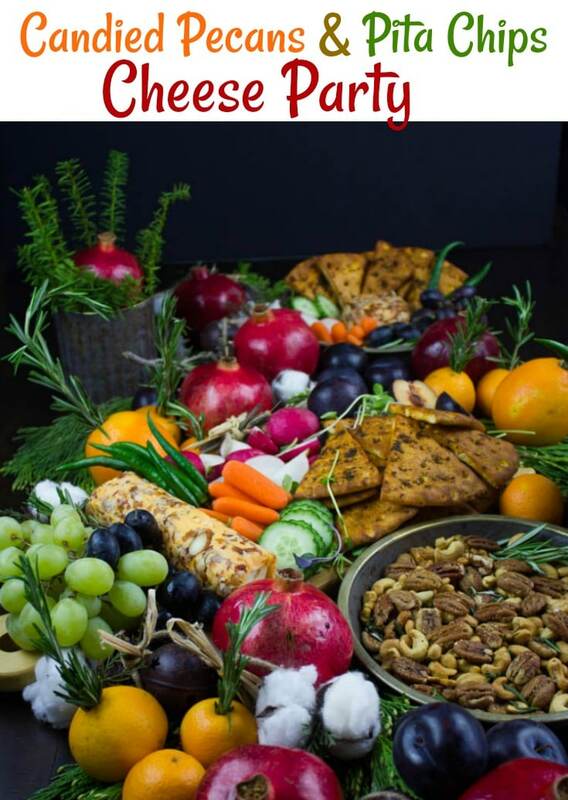 I’m talking Rosemary Spiced Candied Pecans and Cashews along with Pita Chips, sweet Pomegranate Mocktails and the most DELICIOUS cheddar cheeses! It’s the perfect way to throw a party for your friends. 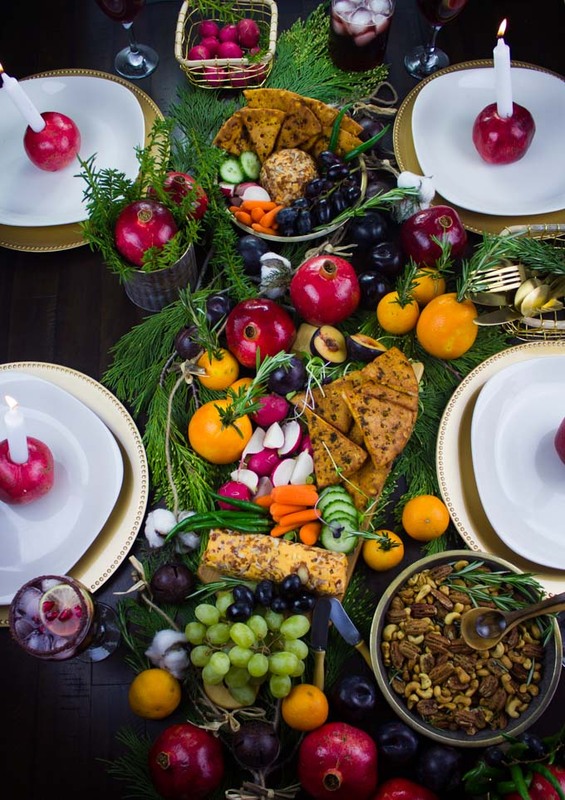 Plus, I’ve also got you covered with a simple Holiday and Thanksgiving centrepiece using your good old fruits and herbs! 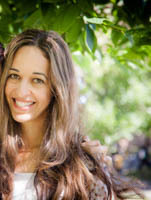 Super excited to share this post with you, because it’s a PARTY post!! Yes! We all need that. But we need it to be easy and relaxing. This is probably one of the easiest parties to throw. Today’s party recipes for candied pecans and homemade pita chips are seriously delicious, and can be prepared a few days in advance! But there’s more to a party than just snacks, right? 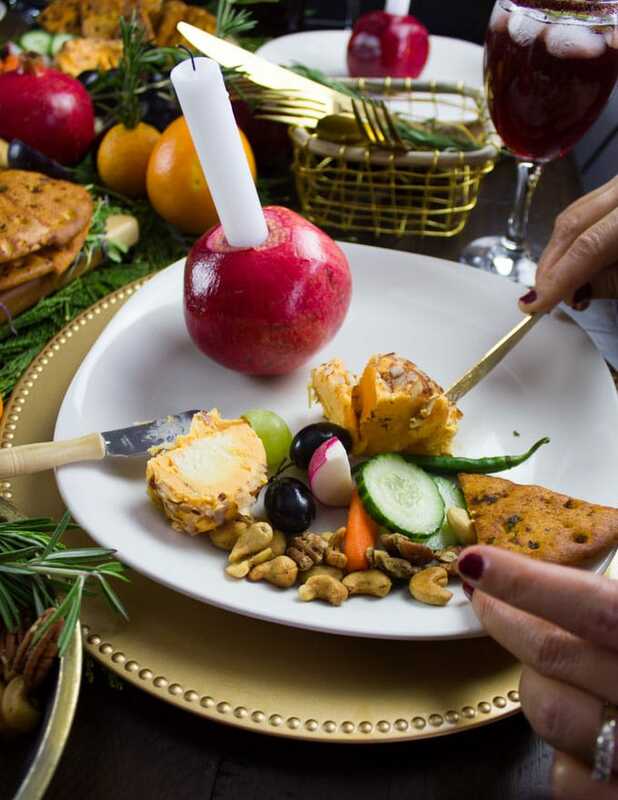 I wanted to lend a festive Holiday look to our cheese party without spending all day in DIY projects or breaking the bank with all the expensive decor. 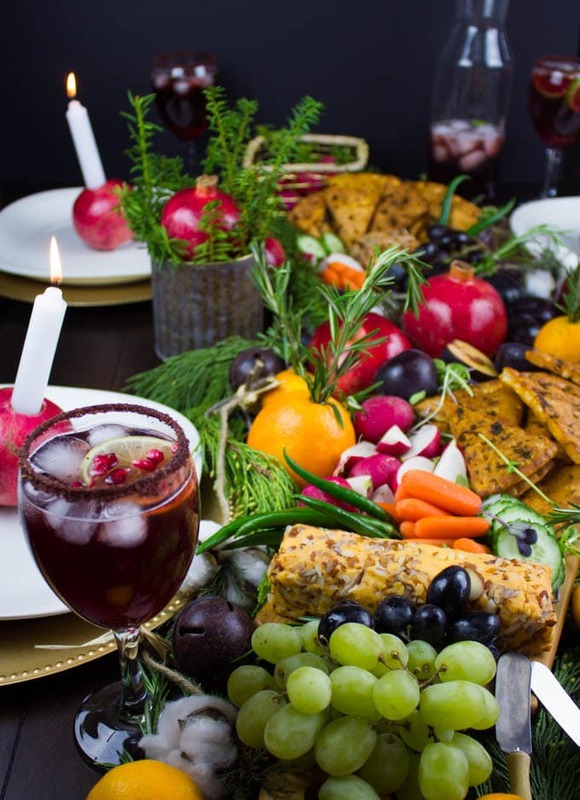 So along with some delicious recipes, I’ll also walk you through this festive-looking decor made from mostly fruits and herbs. Table decor does not get any more budget than this! 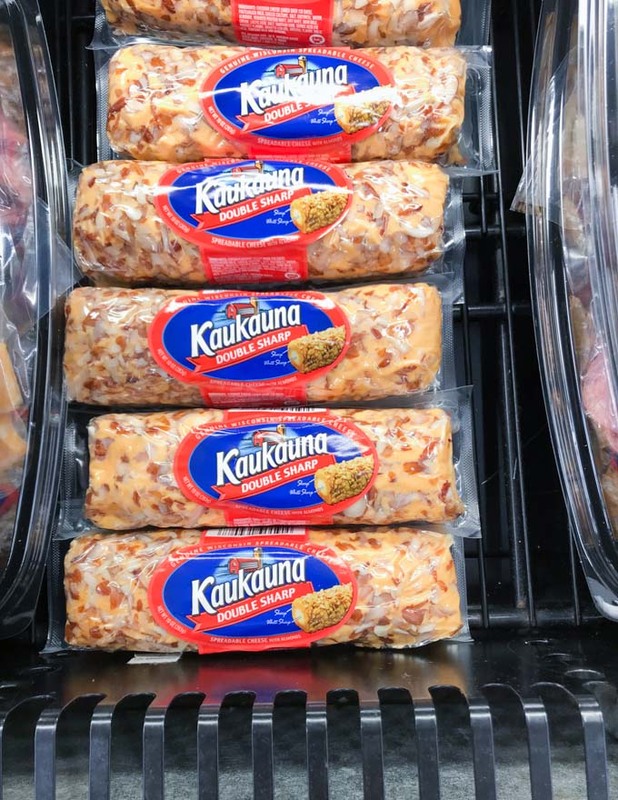 Before I chat about the candied pecans and pita chips, I wanted to mention that I picked up a collection of these divine Kaukauna® Cheeses at my local Walmart in the specialty cheese aisle. It was like LOVE at first bite. So smooth, so cheesy, so pure rich cheddar tasting with a touch of crunch from the almond coating. 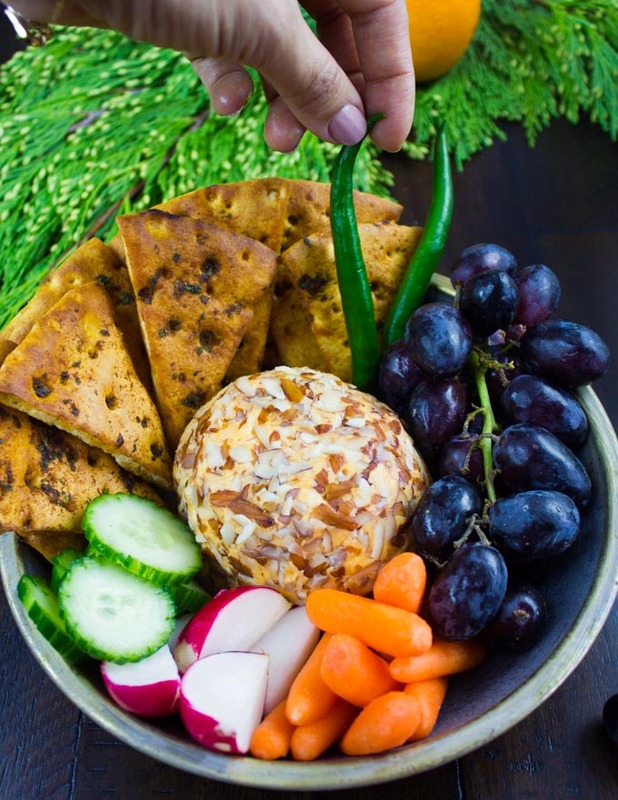 I’ve certainly found my “go to” cheese for snacking, gatherings, and even more, for everyday deliciousness! They’re made with 100% real Cheddar, and the best part is—you absolutely TASTE that! 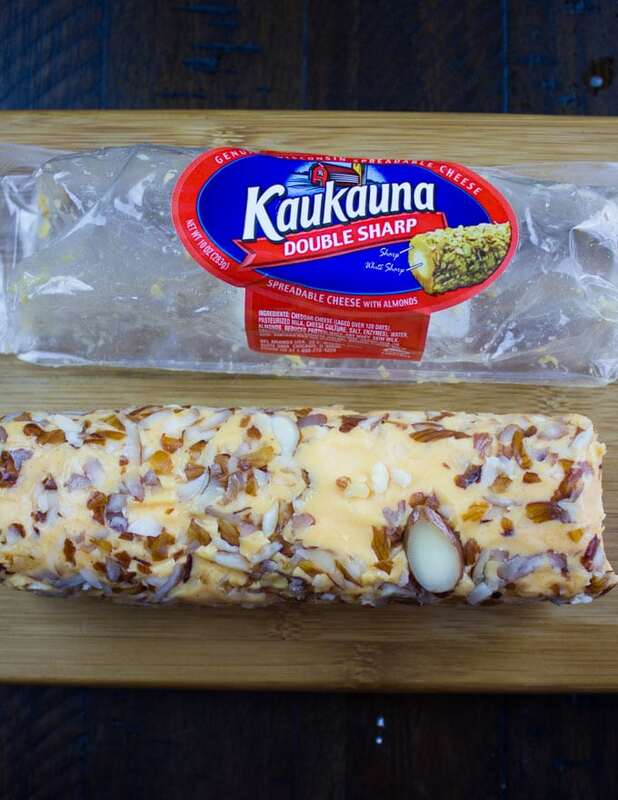 I’ve picked the Sharp Cheddar Kaukauna® Cheese Balls and the Double Cheddar Kaukauna® Cheese Logs. 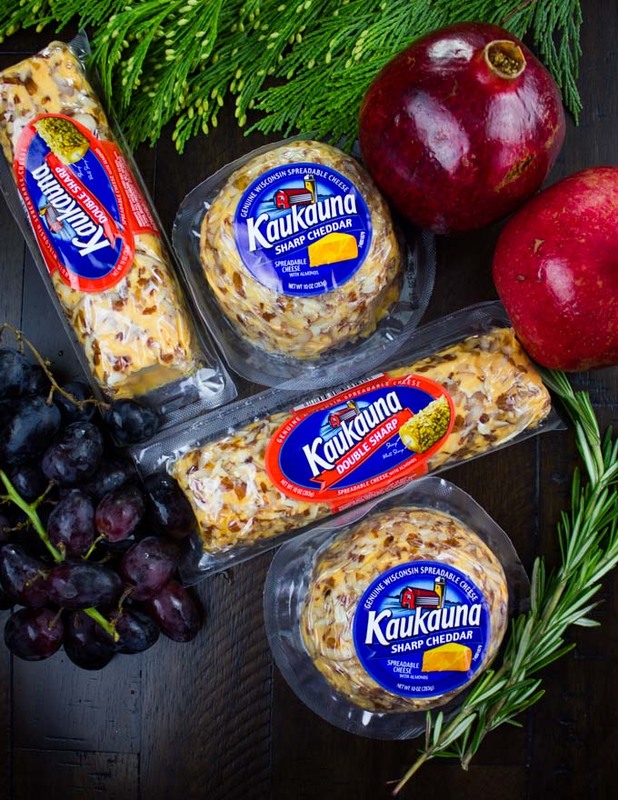 The Kaukauna® Cheese also comes in cups. I love finding goodies like that since they make a great addition to my entertaining table on heir own or part of a recipe. 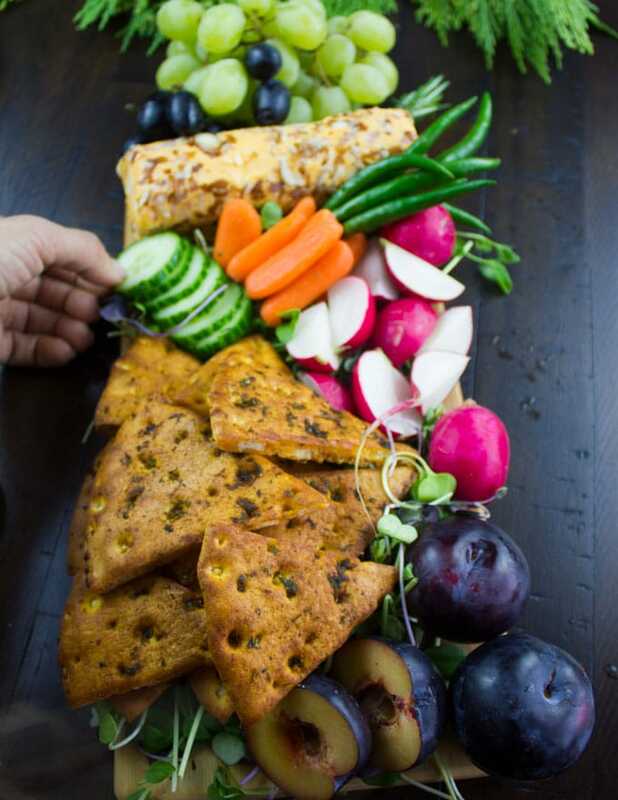 For today’s party, we’ve spread them on some herb pita chips, and topped that with fruits and veggies—SO good! 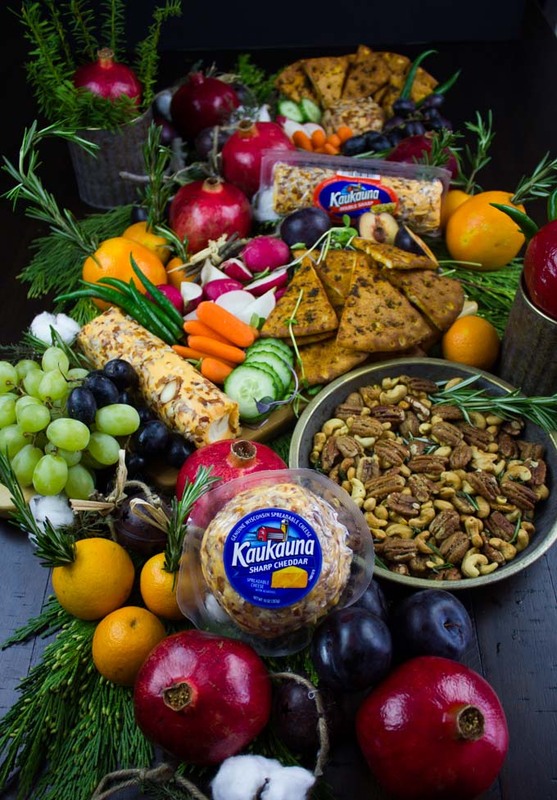 And we’ve been secretly scooping the Kaukauna® Cheeses with the rosemary spiced candied pecans too—pure LUSH! 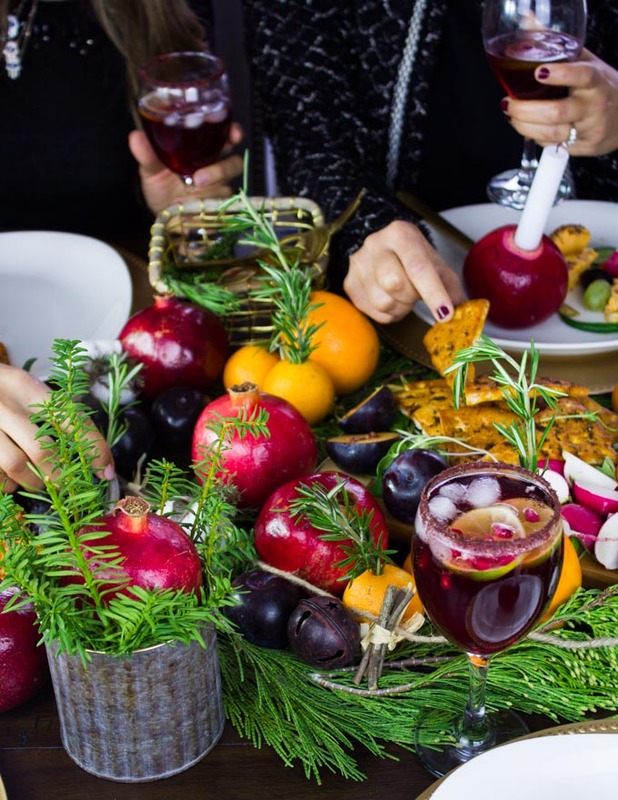 Now let’s get this cheese party started with some spicy candied pecans, fruity pomegranate mocktails as well as some awesome homemade table decorations made with fruit and herbs. These are not your regular sweet candied pecans – these are kicked up with some heat and freshened up with a touch of rosemary. Plus they are not as thickly coated with sugar as your good old candied pecans. So it’s basically these five ingredients—chilli flakes, brown sugar, salt, olive oil and rosemary. Additionally, you can throw in some orange zest, but that’s optional. 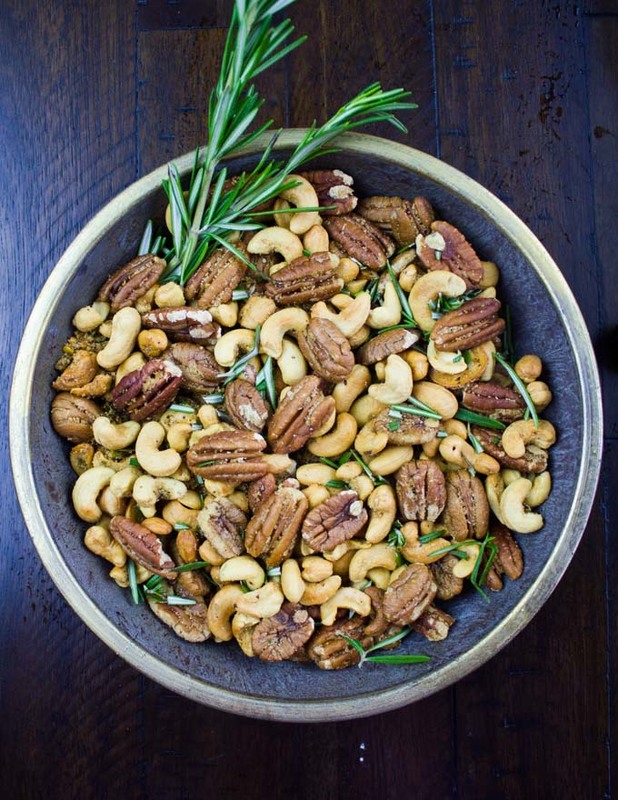 Toss all the ingredients and roast the pecans for just 10 minutes. The hardest part is keeping yourself from munching on these delish candied peans before the party even starts! These pita chips were made a day in advance. 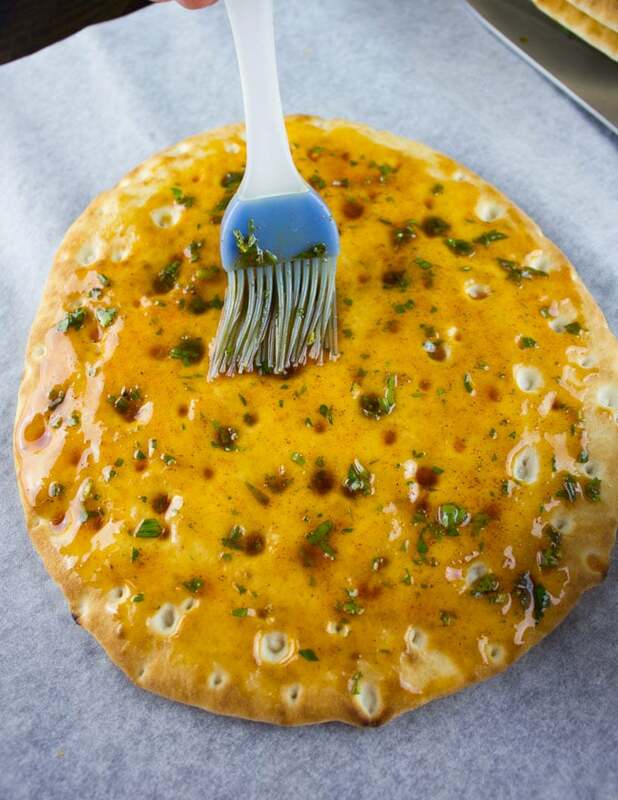 A mixture of herbs (parsley, oregano or your favorites), olive oil, paprika and salt is slathered over a loaf of Greek Pita bread. You can totally make the candied pecan and pita chips on the day of your party, but I really preferred making them in advance so all I have to do on the day of my party is the drinks and setting the table! My pomegranate mocktails here are inspired by a drink I had in Maine last month and it was the talk of the restaurant. Simply mix pomegranate juice, lime juice and some ginger ale. The secret here (again inspired by the same drink I had) is a touch of sumac—a fresh tangy lemony Mediterranean spice. The spice is added to the drink and glass rims. Amaaazing! Let’s chat about the simple yet vibrant table decoration. I’ve gathered some Holiday greenery from my garden (or you can pick them at Walmart while you’re picking up the Kaukauna® Cheeses!) and used those as my table runner. Also, I added some gorgeous pink pomegranates, some deep purple plums, some green chilli peppers and some rosemary stuffed oranges. 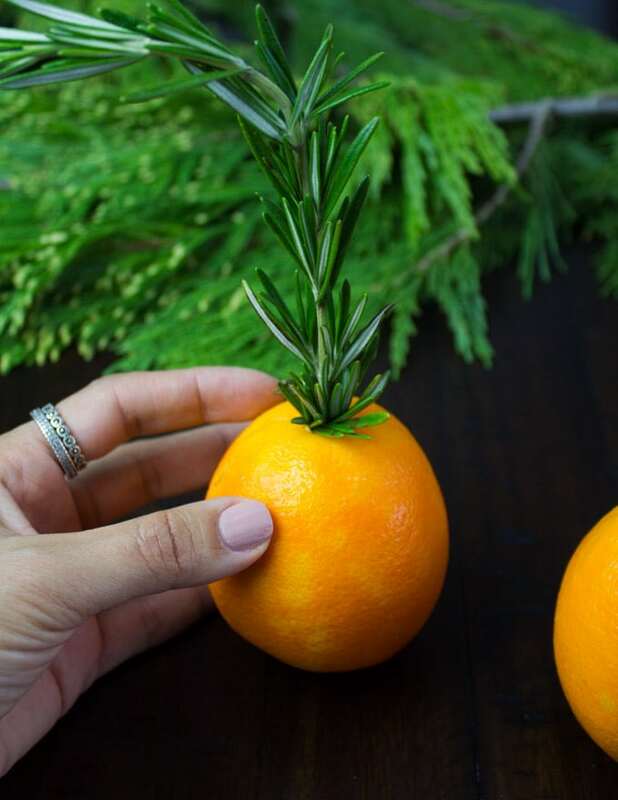 For making these cute orange rosemary trees, I simply cut a tiny slit into the centre of the orange (or clementine) and then inserted a sprig of rosemary. 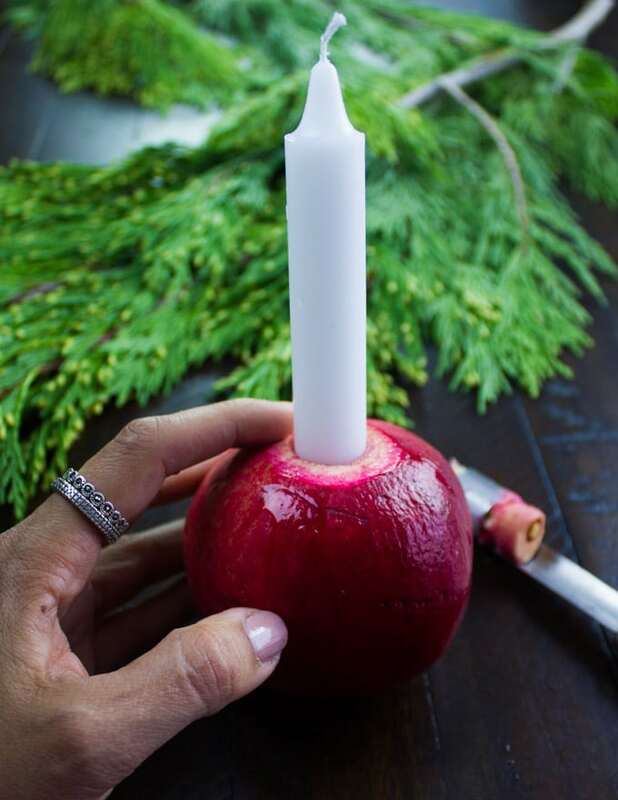 Now, how cute are these pomegranates as a candle holder? 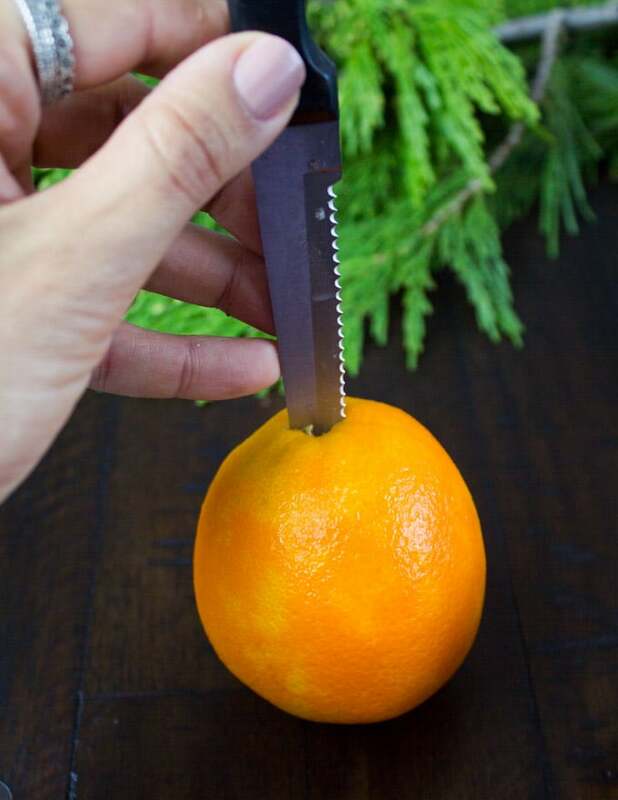 Use an apple corer for this trick. 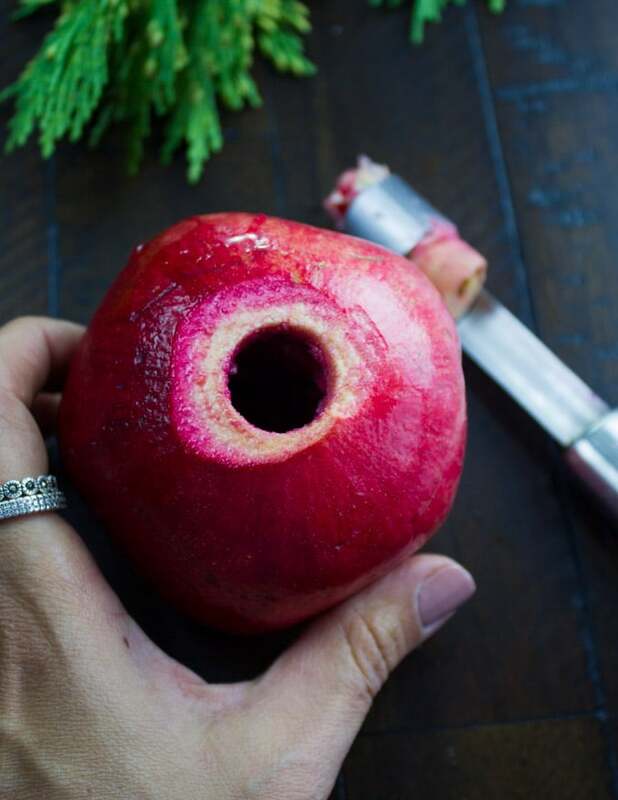 First of all slice off the top of the pomegranate and scoop out the centre (halfway only) using an apple corer. Now, the candle fits in perfectly. 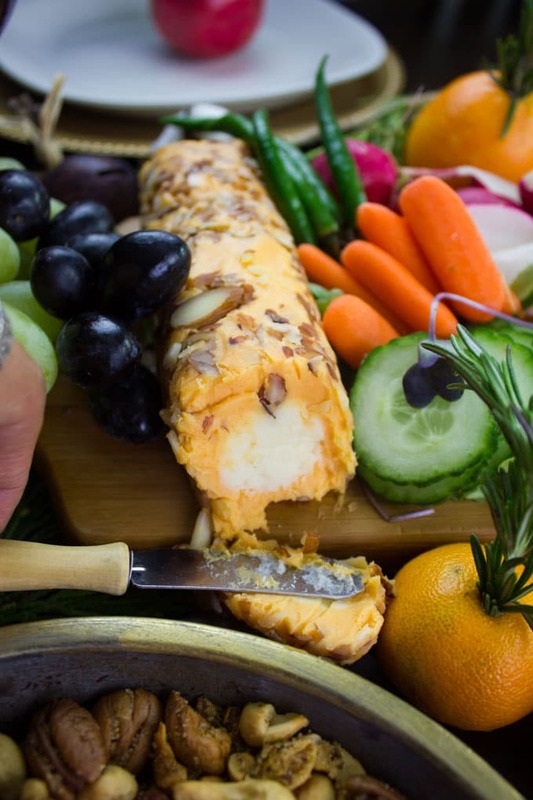 Another way to get some colors onto your table is by adding plenty of fruits (grapes for example) and sliced veggies (carrots, cucumbers, radishes—and your favorites) around the Kaukauna® Cheese. These homemade pita chips are delicious on their own, but especially great paired with cheese or a homemade hummus dip. Talking about hummus, why not top it with some chopped candied pecans? Delicious food, great company and the enjoying the simple things in life—this is what this party is all about! Do you like to throw parties? I’ve got you covered with more recipes and inspiration here. 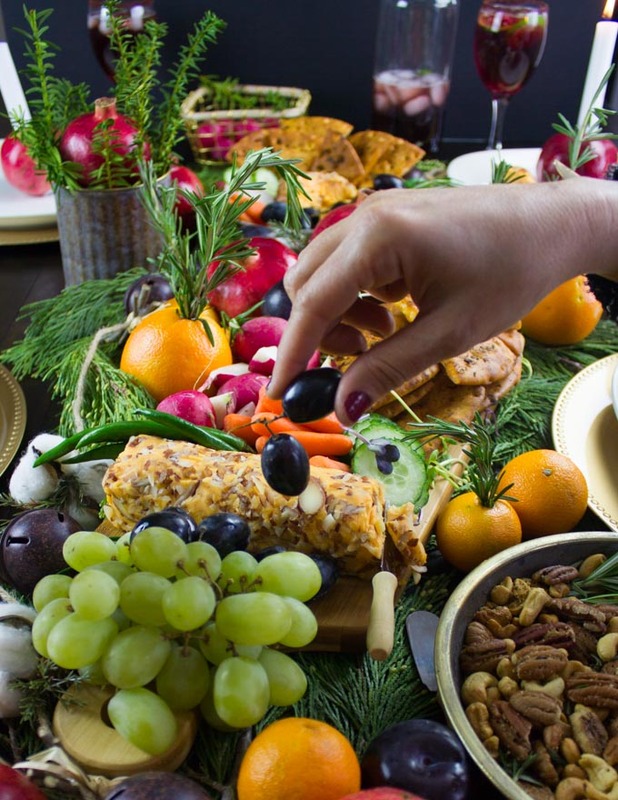 Enjoy the tiny things in life with an easy, vibrant and delicious party like this one! I love preparing the candied pecans a couple of days in advance and store them in an airtight container. Homemade Pita chips can be stored in a ziplock bag and will keep for a week. Didn’t find sumac? Simply use a 1:1 mixture of salt and sugar tossed with some chili powder and lime zest. 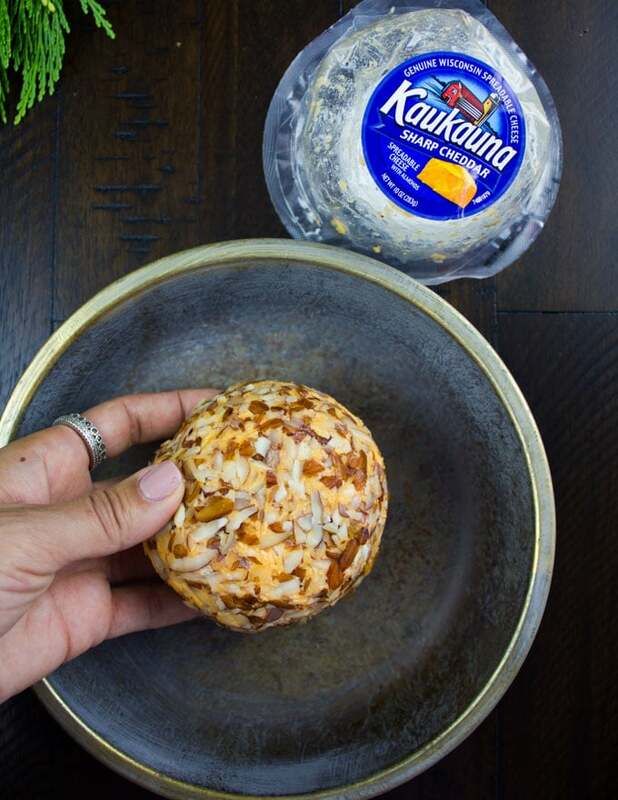 Want to throw a cheese party? 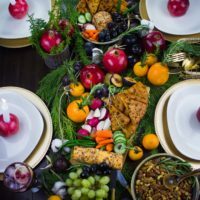 I have got you covered with my recipes for Rosemary Spiced Candied Pecans and Cashews, the best homemade Pita Chips, sweet Pomegranate Mocktails and the most DELICIOUS cheddar cheeses! And while I am at it, why not throw in some festive homemade holiday centrepiece using candles, fruits and herbs! Prepare the candied pecans by mixing all ingredients in bowl. Spread them on a baking sheet as evenly as possible and roast them for 8-10 minutes until they start to look golden. Be careful not to burn the nuts! Let the nuts cool for half an hour at least before storing them in an airtight container. Mix the oil, herbs and seasoning in a small bowl. Using a party brush, brush the tops of the pita bread with the oil mixture and then cut each pita into wedges (I made 8 wedges out of each pita bread). 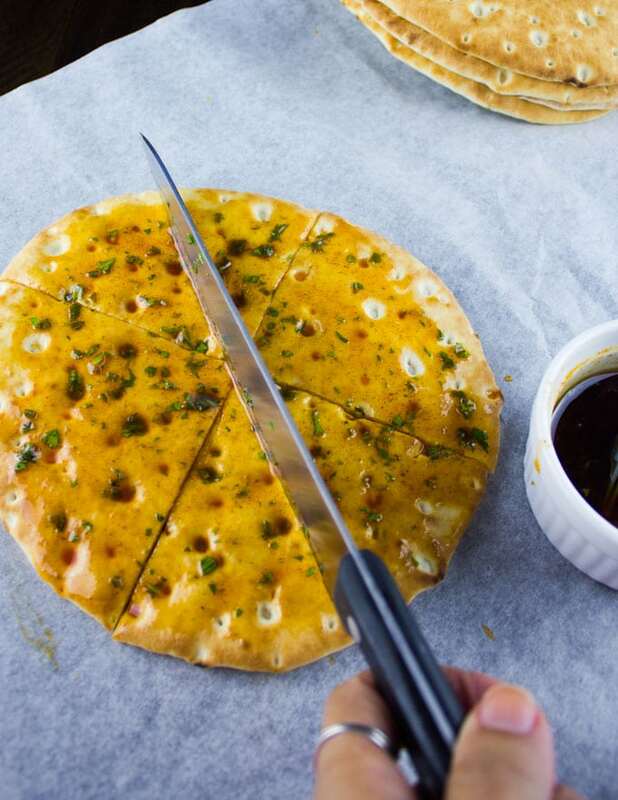 Place the pita wedges on a baking sheet in an even layer and bake them for 10-15 minutes (depending on the thickness of the pita bread) until golden. They will crisp up further as they cool. Once cooled down completely, the pita chips can be stored in an airtight container for a week. 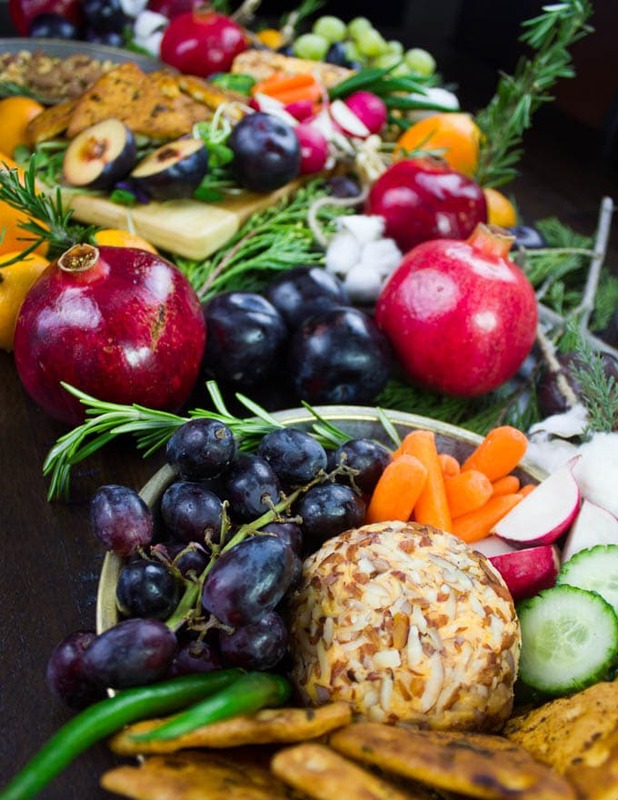 Arrange the Kaukauna® Cheese board or plate by spreading the veggies and fruits around it. 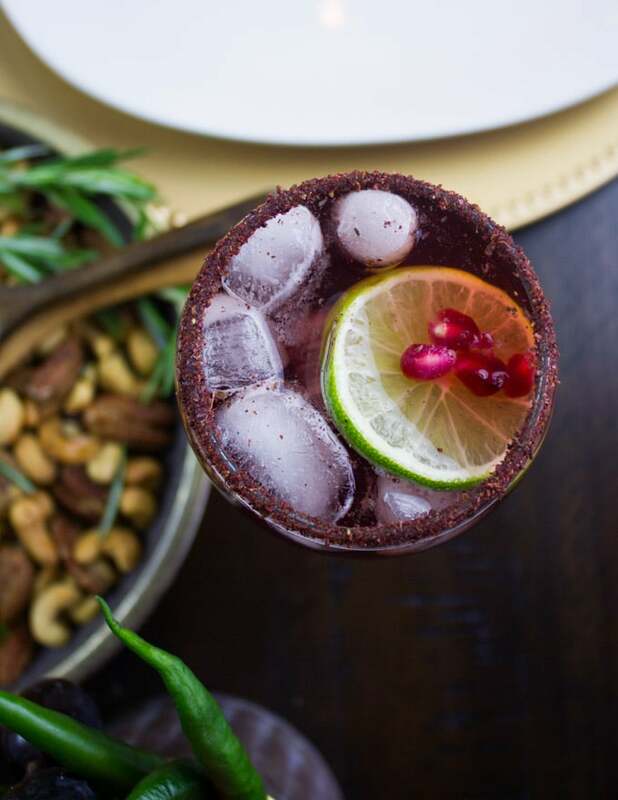 Make the cocktails by mixing the juices together and adding in a teaspoon of sumac spice. Place the remaining sumac on a small plate and dip the rims of your cups in water, followed by the sumac spice. 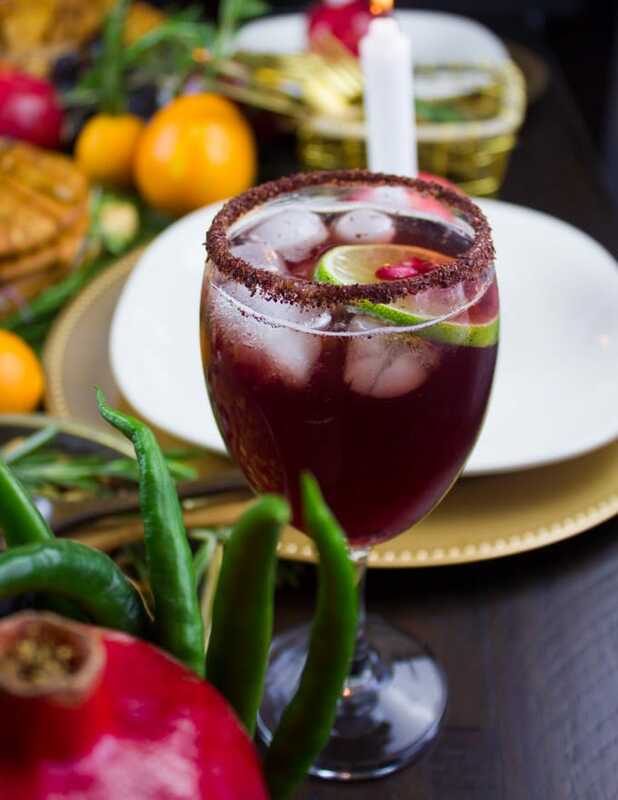 Pour the cocktail into the ready glasses and serve with a slice of lime and extra pomegranate arils if you like! Didn't find sumac? Simply use a 1:1 mixture of salt and sugar tossed with some chili powder and lime zest. 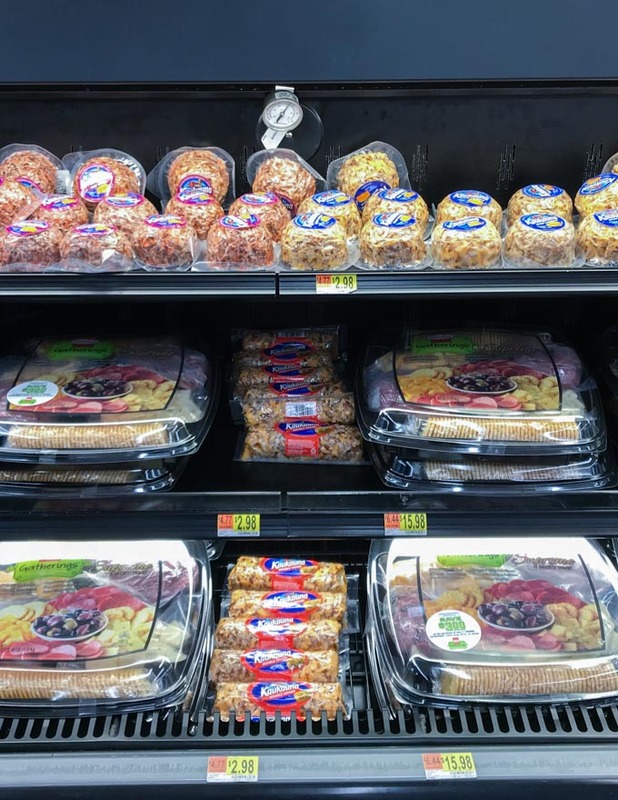 This sounds like the perfect party to me – those cheese balls and cheese logs look incredible! Bintu, thanks so much!!! They are really! This is so pretty! Sure to be and eye catcher over the Holidays! I love sharing this type of food. My little boy calls it buffet and it’s his favourite. All you need now is a glass of wine! This would be amazing on our table prior to our Thanksgiving feast. What a gorgeous cheese platter! 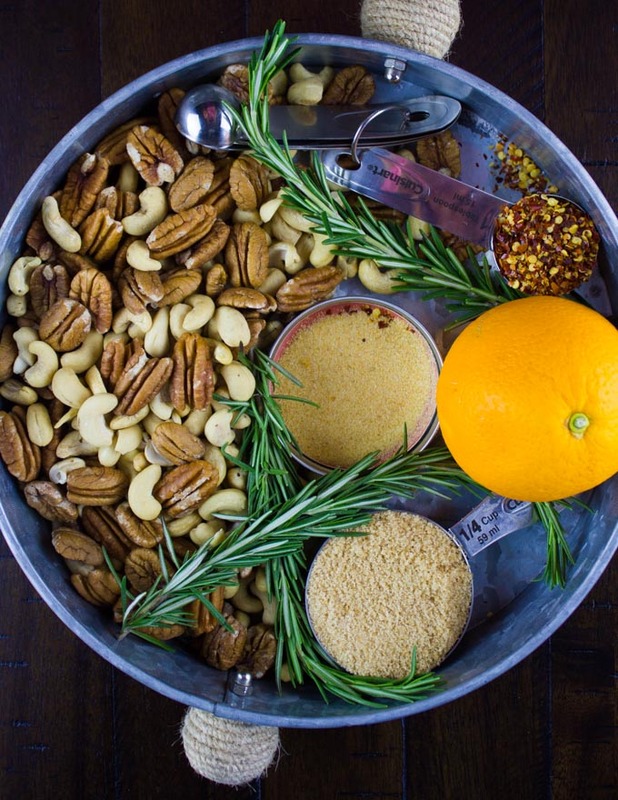 I’m going to make your delicious pecans and cashews for our holiday snacks. Thanks for sharing!